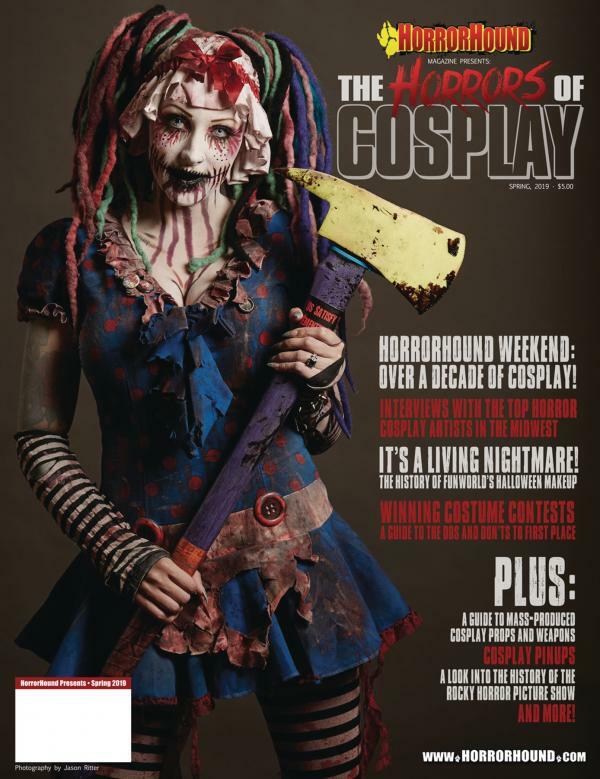 An all-new HorrorHound special one-shot spotlights the Horror's of Cosplay! We take a look at, an interview, the most popular cosplay celebrities within the world of the dark and macabre art of the horror genre. A guide to how to win a costume contest is paired with various articles on makeup, cosplay prop and make-up manufacturers (including Funworld, NECA, Trick or Treat Studios, and many more). On top of this, this special issue also includes a retrospective article on one of the most popular "cosplayed" movies of all time: The Rocky Horror Picture Show! Includes a guide to Rocky Horror merchandise, including toys, comic books, and soundtracks.